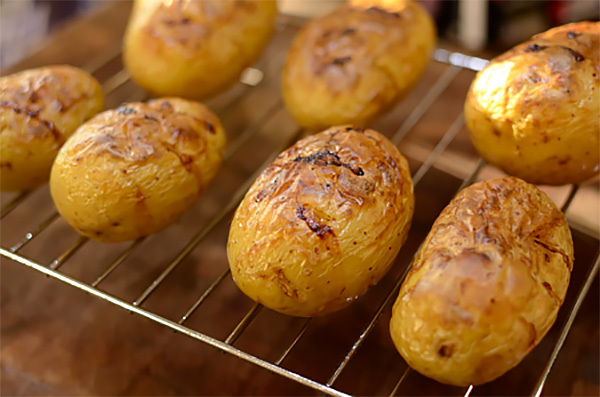 We’ll show you how to bake potatoes in the new NN-CS894S Panasonic Steam Combi Microwave. Cut potatoes into bite-size piece. Place on glass shelf in lower shelf position. Cook 600 W for 8 to 10 minutes. Then cook Convection 200 °C for 20 to 25 minutes.